01.08.2013. Munich, Germany. 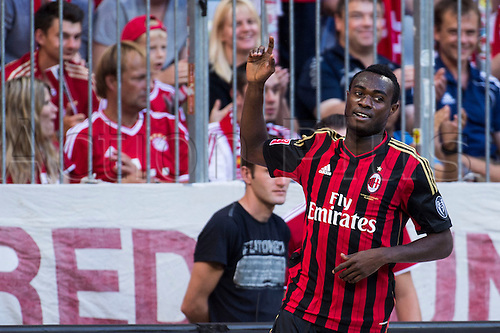 Kingsley Boateng (Milan) Kingsley Boateng of Milan celebrates his goal during the Audi Cup 2013 match between AC Milan 1-0 Sao Paulo FC at Allianz Arena in Munich, Germany.